Every Monday, The Diva issues a Zentangle Challenge to all who are game. This time, the challenge was to do a “Tipple” Monotangle, and I had just done Tipple in tiles for my “Tangled Tangles” class. 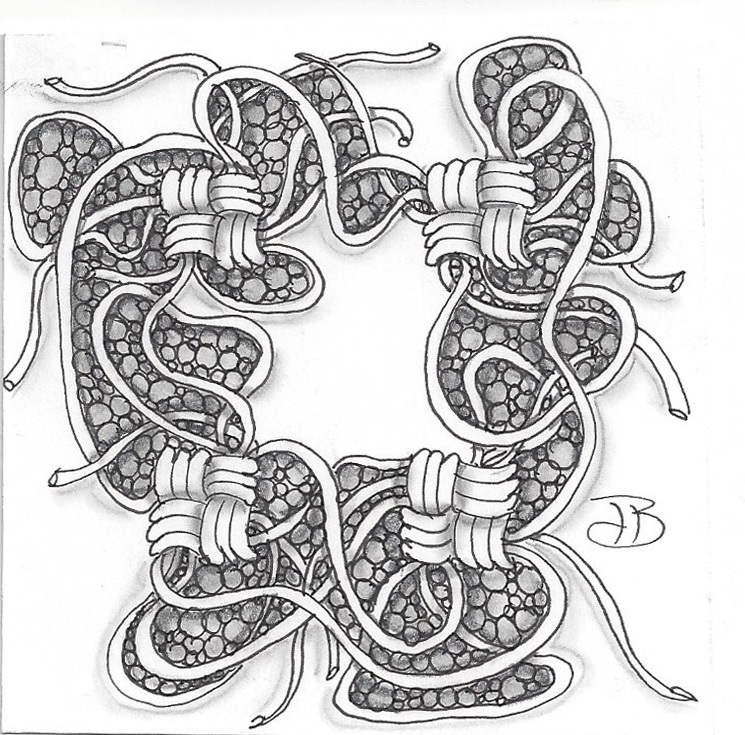 Here are two versions using Tipple and Mak-Rah-Mee (technically this tile has two tangles but I am considering it close enough for my first Challenge response.